Join us at the Tenacre Fair! Saturday, May 11, 11:00-3:00 PM, RAIN OR SHINE! Every day at Tenacre begins with a handshake as the head of school greets arriving students. This act of trust and personal attention sets the tone for all that follows. At Tenacre, we embrace the elementary years. As a Pre-K through Grade 6 coed school, we offer a dynamic and exciting environment in which children progressively develop critical thinking skills, become confident and joyful learners, and move forward into higher education and life as caring citizens. At the heart of our educational philosophy is the critical need to balance nurture and challenge. Nurture, particularly in the younger years, allows children to grow, feel safe, and develop an empowering sense of confidence--"I can do it." Challenge takes on a greater role as students welcome the opportunity to prove themselves in many difficult learning situations. Every child at Tenace is a full participant, a valued contributor to our vibrant community. In classrooms, on our playing fields, in art, music, and drama, our students are actively engaged in their own education. It is our belief that when every child has multiple opportunities to succeed, every child can and will succeed. Our proudest tradition is that of valuing every student. We are a small school where everyone knows each other, where academics, creativity, and good citizenship are high achievements to strive toward, and where children learn firsthand the rewards and responsibilities of being part of a community. Our focus is on the total child. The goal is to respond to the academic, emotional, physical, social, and moral dimensions of each child with a unique philosophy that creatively combines traditional and innovative elements of elementary education. 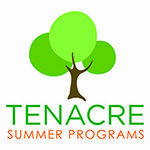 Tenacre nurtures and challenges each child, every day. A private, coed school for pre-kindergarten to grade 6.